On March 12th, 2017 the Royal School for NCO's - Campus Saffraanberg, near Sint-Truiden held it annual Open Door. 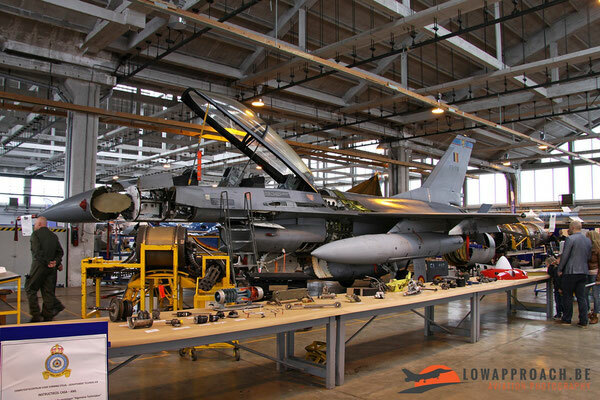 This school, which was previously known as the Royal Technical School of the Air Force is responsible for the training of all future NCO's of the Belgian Defense. 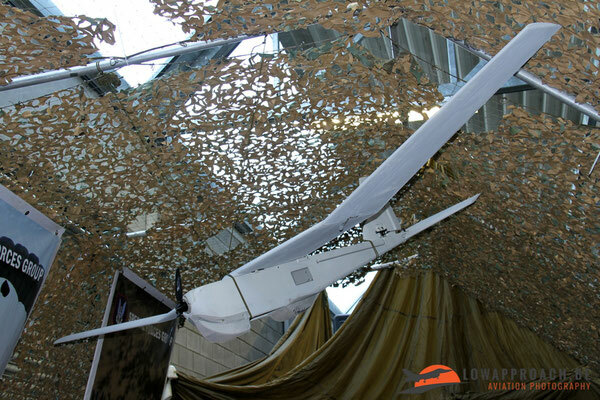 The main purpose of this Open Door is to attract interest with the young population to pursue a career in the military. 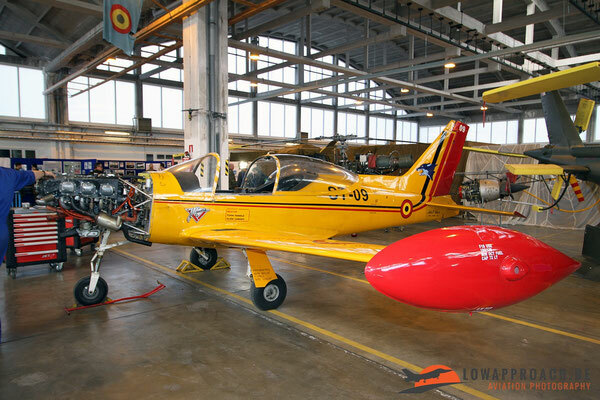 To stay on topic of our website I'm going to limit myself to have a look at the aircraft that are currently in use to train the future aircraft technicians of the Belgian Air Force. As already said the school is located at Saffraanberg, near the former airbase of Brustem-Sint Truiden. It's hard to miss as not every school building has a Lockheed F104G Starfighter as a gate-guard. In the past they had a Vickers-Supermarine Spitfire Mk.IX, SM29/MK912, but that was removed in the late 80s and sold the United Kingdom, where it was made airworthy again. Unfortunately the aircraft was severely damaged in a crash near Biggin Hill in 2015, but hopefully it will get back in the air after repair. 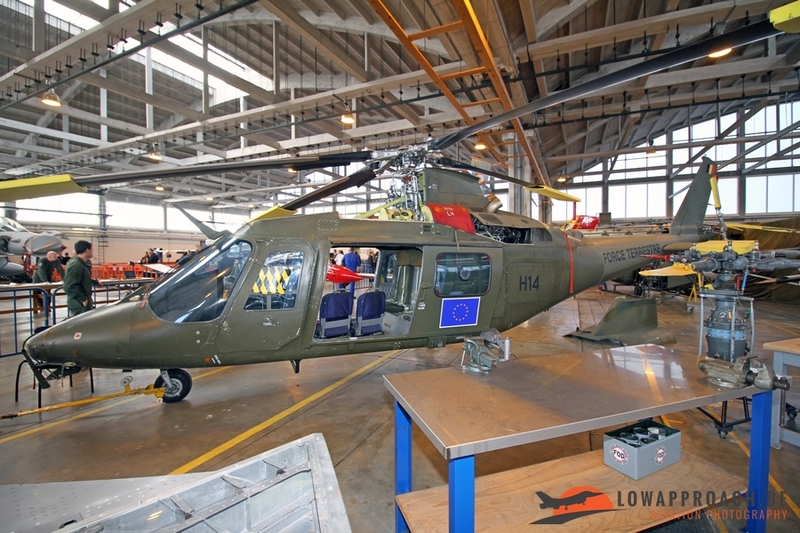 For the training the 'CC Sp Dept Tech Air', the unit that took over the traditions of the K Tech Sch (Royal Technical School of the Air Force), has a number of aircraft and helicopters at its disposal which all saw service in the Belgian Air Force. At this moment we can say that virtually all aircraft in the school still are in service at this moment. 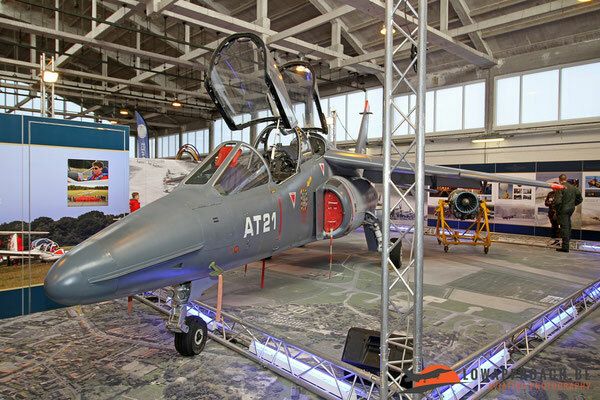 Newest addition to the 'fleet' is a Dassault-Breguet Alpha Jet 1B+, AT21. The aircraft arrived at Saffraanberg on October 10th, 2016 and was shown to the public for the first time during the Open Door. 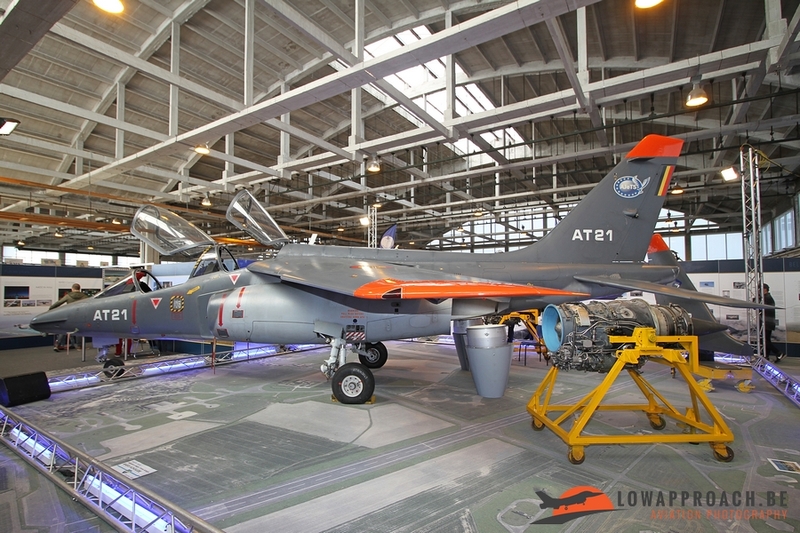 It was incorporated in the travelling exhibition celebrating the 70th Anniversary of the Belgian Air Force in 2016. Another type which is used for training are a couple of General Dynamics (now Lockheed-Martin) F16s. 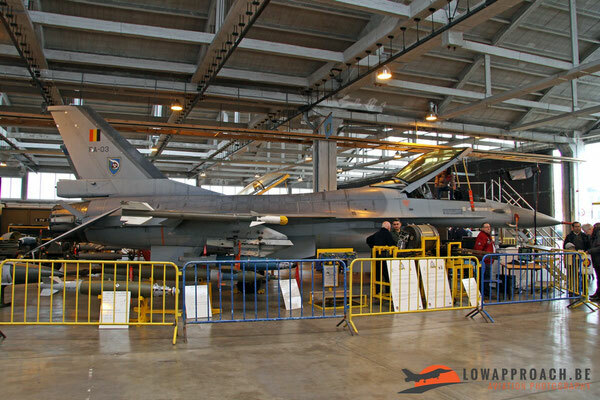 The school has the two variants to its disposal, a F16A single-seater and a F16B two-seater. Both aircraft are still in the original configuration and never underwent the mid-life upgrade, which brought the operational aircraft to F16AM/BM MLU standard. Outside the aircraft hangar the school still has a Dassault-Breguet Mirage 5BA, BA17. 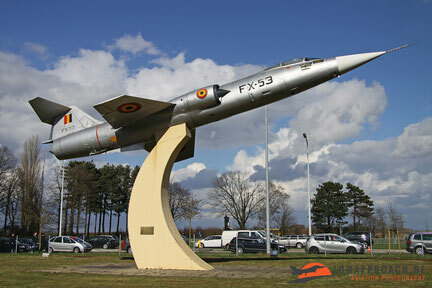 This aircraft was also used as an instructional airframe until a few years ago, when it was placed as a monument in front of the aircraft hangar. 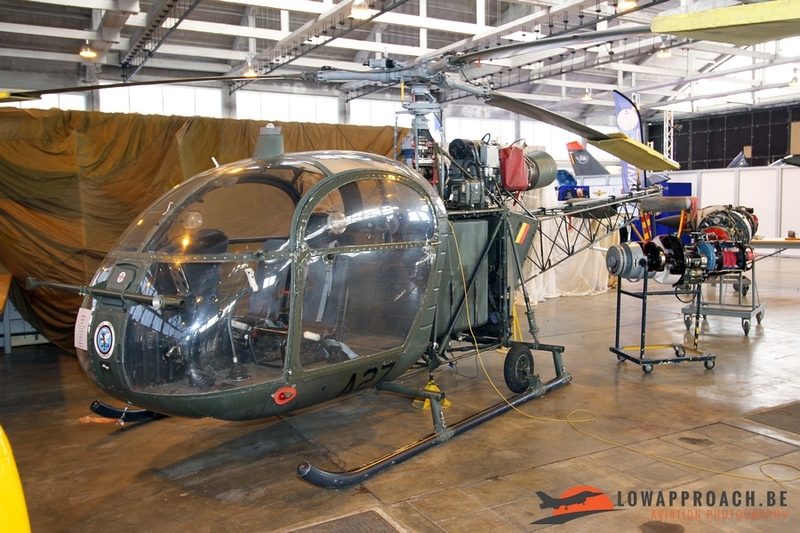 Next to the Mirage the first example of the Sud Aviation Alouette II could be found. Although marked 'A53', this airframe is actually 'A72'. During its career as an instructional airframe it apparently lost its original identity. 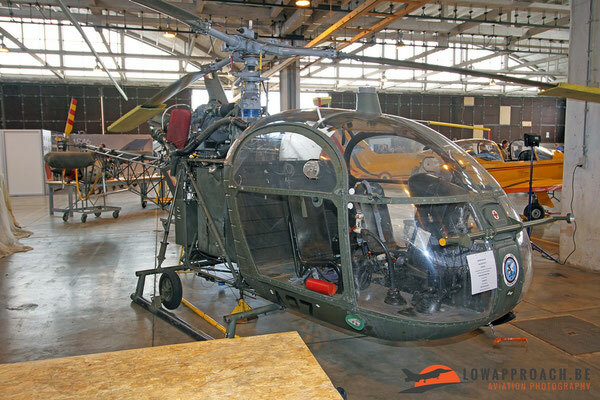 Inside maintenance hangar a second Alouette II can be found, serial A27. Both aircraft are already on the books for quite some years. 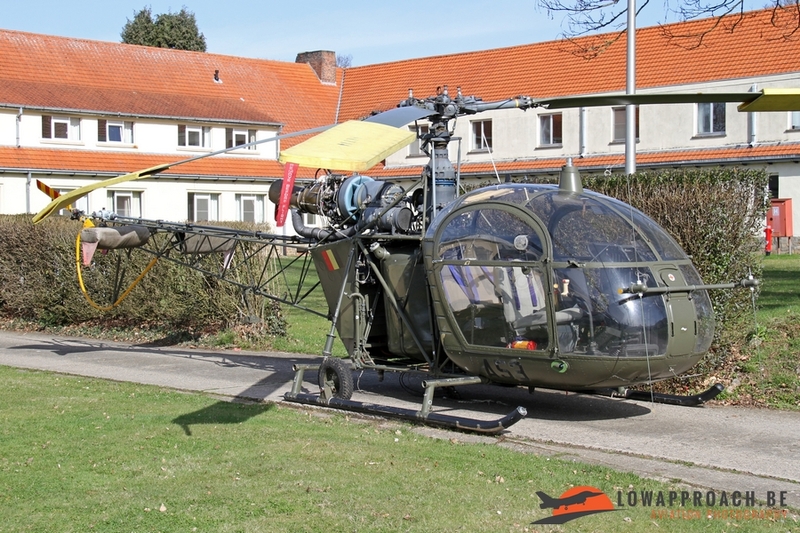 A newer helicopter type at Saffraanberg is the Agusta A109HObn Hirundo, serial 'H14'. 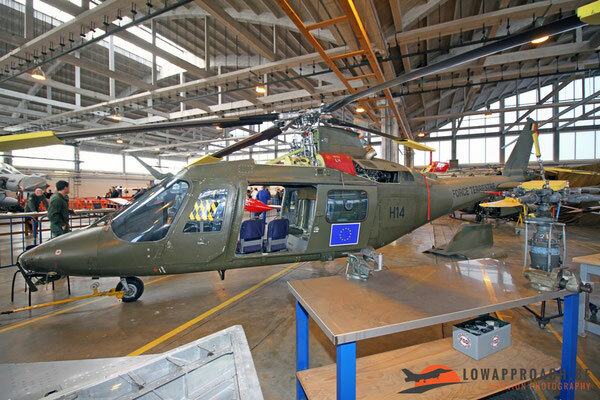 'New' is quite relative, as 'H14' was one of the first airframe to be taken out of service and is in use at Safraanberg since late 2004. 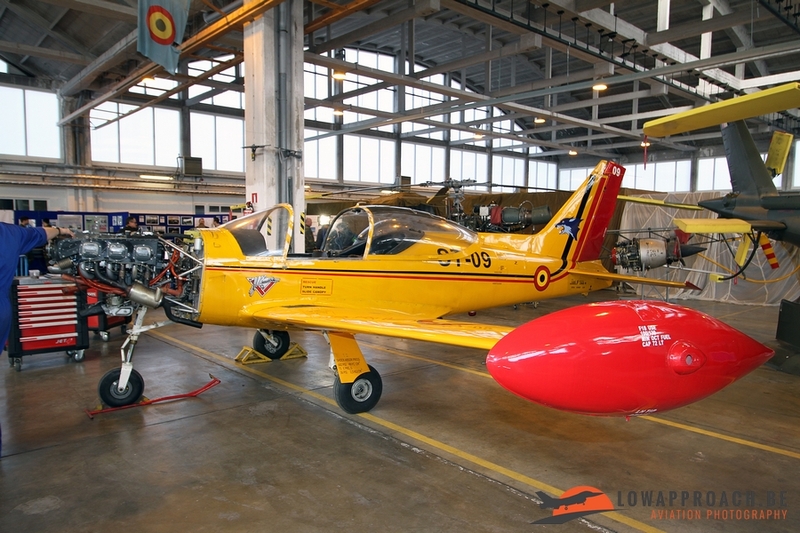 Another aircraft type at the school is the Siai-Marchetti SF260M, serial 'ST09'. 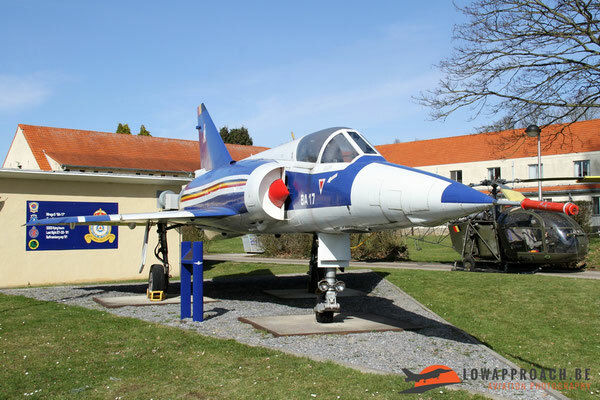 Although the majority of the Belgian Air Force's Marchetti are still in service at Beauvechain, this example survived the scrapman. ST09 was damaged in a mishap at Beauvechain in 1997, but was repaired by the students at the Technical School and is in use for training ever since. During the Open Door a few other, still operational, aircraft were present. 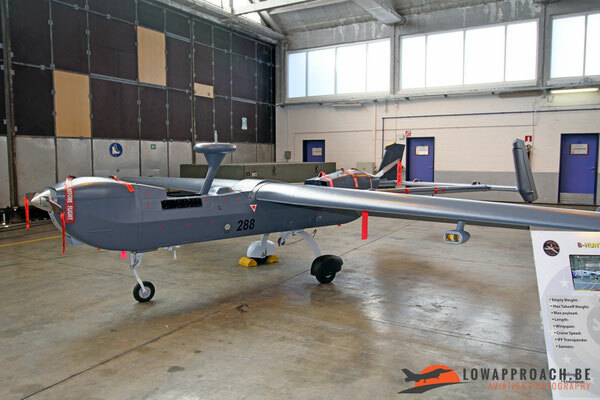 The first one was a Eagle/IAI B-Hunter drone operated by the 80 (UAV) Squadron based at Florennes. The example present at Saffraanberg, 288, is a no longer operational. 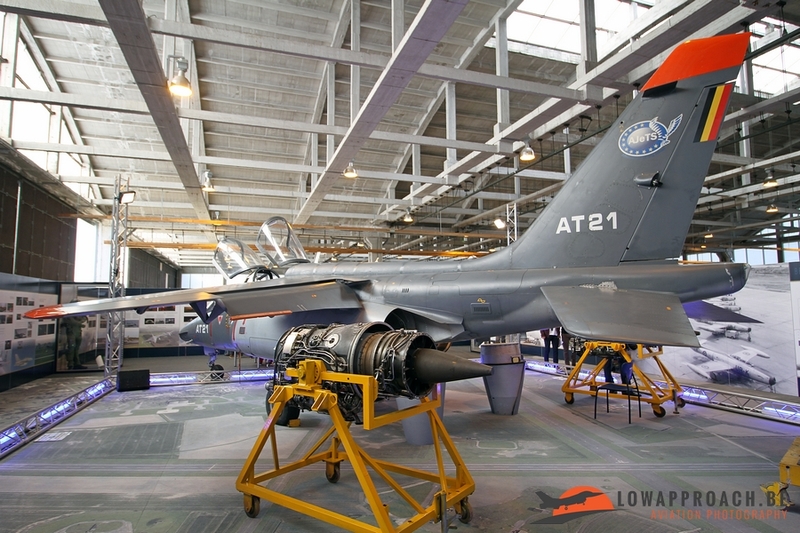 It suffered some structural damage during an emergency landing in 2007 and is now only used for exhibitions in a rather unusual dark grey color scheme. The next aircraft on display was a brand-new Aerovironment RQ20 Puma surveillance and information gathering drone that recently entered service with the Belgian Special Forces Group. 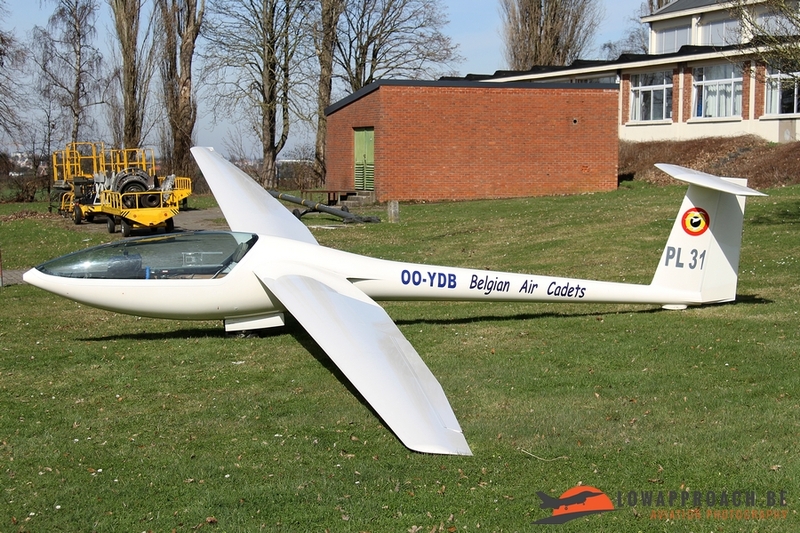 Finally the Belgian Air Cadets were also present with one of their glider, a Glaser-Dirks DG300 Elan. The Air Cadets are a youth organization heavily supported by the Belgian Defense, and with success as already several former Air Cadets opted for a military flying career. The annual Open Door at Saffraanberg is always a nice event to visit. During this day not only aircraft or helicopters are on display, as also the other components of the Belgian Defense are represented with all types of vehicles and hardware all with the same aim interest the young in a possible military career and inform the old on what the current capabilities are.